There's no doubt that all computers will eventually use solid state drives. However, that time isn't quite upon us. 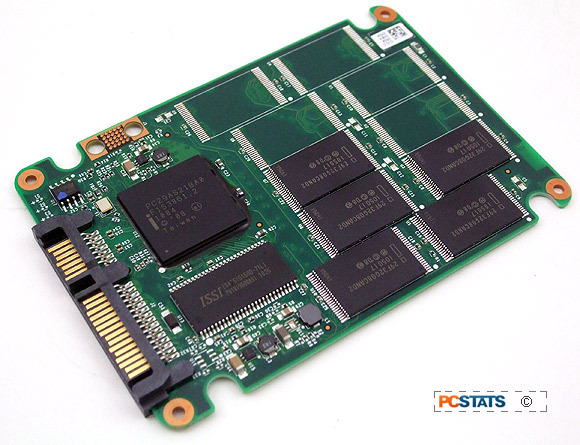 In the twilight years of the hard drive, manufacturers have been busily looking for ways to bridge the gap between the awesome storage capacities of mechanical Hard Disk Drives (HDD) and the snappiness, but limited storage capacity of SLC NAND memory based Solid State Drives (SSD). With the launch of the Intel Z68 motherboard chipset, Intel unveiled a novel addition to its Rapid Storage Technology v10.5 disk storage and RAID management tool called Smart Response Technology. What's interesting about Intel Smart Response Technology (SRT) is that it can designate a SSD to cache frequently accessed I/O data in a sort of hybrid RAID 0 arrangement. In turn, Windows will retrieve data it frequently requests from fast SSD memory instead of a hard drives' comparatively slow magnetic storage medium. The upshot? Intel SRT can yield like-SSD responsiveness to systems where Windows and everything else is installed on a traditional hard drive. Neat eh? The system doesn't require a very large solid state drive, a 20GB Intel 311 SSD runs about $110 USD and does the job quite nicely. 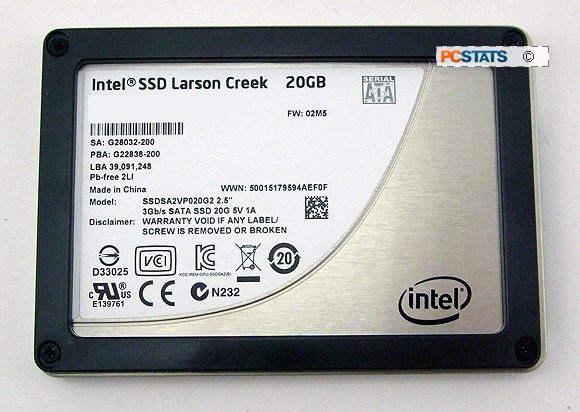 Prior to the introduction of Intel SRT, the common solution for users looking to have the fastest data storage available was to use an 80GB or 120GB SSD to install Windows and the program files, with the remainder of one's photos, music, movies, work and general data flotsam stored on a couple Terabytes of SATA hard drive. This scenario mostly worked, but could get expensive. It was also a good compromise that played to the strengths of both SSD and HDD storage devices... until the SSD drive with the operating system and applications ran out of space. Is better storage responsiveness really as simple as adding an SSD caching drive? For the most part. But like most computer technologies, there are a few caveats. For starters, Intel Smart Response Technology only works with specific Intel chipsets, at the moment just the Intel Z68 PCH for the desktop computers, the HM67 & QM67 chipsets for notebooks. The benefits of SRT are witnessed mostly with data-heavy applications and then only to frequently accessed data. In other words Intel SRT will help speed application launching and so forth, but has little to no impact on 3DMark11 scores (see below), or say, copying 8GB .MKV's from a USB 3.0 drive to the desktop. Cache or no cache, when it comes to file copying the primary storage device is still a hard drive. The final caveat is that the first time around, SRT doesn't really do all that much. It's only on the second and subsequent instances when frequently accessed data is called that SRT kicks in and Windows reads directly from SSD cache, bypassing the hard disk entirely. When that triggers, the speed boost over identical data called from the hard drive can be enormous. While Intel goes into greater detail on what types of data it considers "frequently accessed" and what data it does not, this is beyond the scope of this review. In reality, if you're building an Intel Z68 computer and installing Windows 7 onto a 2TB Seagate Barracuda hard drive, adding a 20GB SSD cache and setting up Intel SRT is a tweak that is transparent to the operating system and can yield great benefit. If you decide to abandon Intel SRT, the cache SSD can be reverted with a click of a mouse back to a simple storage device. PCSTATS has been testing out Intel SRT with Gigabyte's GA-Z68X-UD5-B3 motherboard and a just released 20GB Intel 311 'Larson Creek' SSD made with 34nm SLC (single-level cell) Compute NAND memory. In application oriented benchmarks that benefit from more responsive storage the results are quite impressive.